Looking for most exquisite varieties of Rakhis in trendy and designer patterns? Well then you are definitely at the right place in your search. Here in this exclusive range, we are offering you most beautifully designed Zardosi Rakhis that are trending a lot these days. 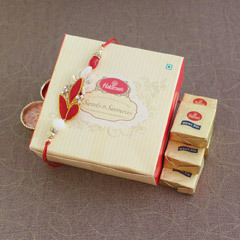 You can go through the entire Zardosi Rakhi range offered below to find the one perfect Rakhi to adorn brother’s wrist. What do you call embroidery of fine and artistic design done on fabric with gold and silver? That’s right, it is called Zardosi. A technique we learned from the Persians, Zardosi has developed in India to reach even more intricate levels. 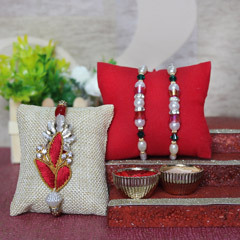 Here we bring before you the finest collection of rakhis that have been an embodiment of the Zardosi technique. Zardosi rakhis are the latest ones that appeal brothers of all age and give a glittery touch to the sacred thread. The Zardosi Rakhi will appeal to your brother who is an art enthusiast. Zardosi designs are done with golden and silver thread to give the embroidery a kingly look. Every brother wants to protect his sister from harms and you can show your appreciation to your brother by gifting him with a special Zardosi Rakhi and golden rakhi on this Raksha Bandhan. Zardosi designs are for every age group and you can select what your brother would love to get. 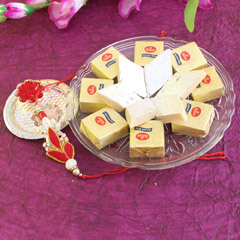 We want the spirit of Raksha Bandhan to be strong when we deliver your gifts to your brother, especially along with the best-selected Zardosi rakhi. 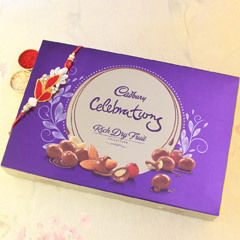 Therefore, we ask you to worry only about your part, which is to choose the best rakhi with gifts Hampers for your brother. The job of getting them to him is ours. We are so good at our job that we do it for free.